In today’s world, proper health education is becoming more important than ever. This is thanks largely to the conveniences in our lives. Easy access to delicious, but nutritionally deficient meals, powerful technology, and lowered need for physical activity leads us into not taking care of ourselves as well as we should. This puts today’s children at a disadvantage that is slowly chipping away at their overall health. By becoming a health education teacher, you and other teachers in your field can work to put an end to this phenomenon. Before you can start teaching professionally, however, you must prove you’re capable of the job. Incoming health education teachers in the state of Illinois are required to earn a passing score on the ILTS Health Education exam before they can launch their careers. The ILTS, also known as the Illinois Licensure Testing System, is designed to assess your knowledge of teaching in your field and all that it entails. No teacher in the state has or can earn their certification without scoring well on this exam. Like its sibling ILTS subject tests, the ILTS Health Education test is fairly lengthy. You will be given a time limit of precisely three hours and 45 minutes to complete 125 “selected-response” (or multiple choice) questions. The Mometrix Test Preparation team wants to see you succeed. To help you prepare for this exam to the best of your ability, we’ve published an ILTS Health Education practice test, which you can find on this page. 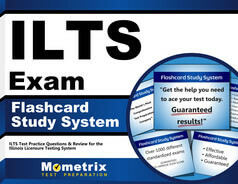 We have designed this test specifically to serve as an accurate example of how the real ILTS exam will work, from its formatting to its materials. We hope this study tool will serve you well as you prepare for this important exam. 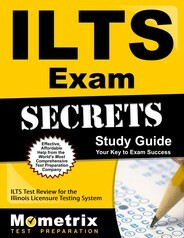 For a more thorough study experience, you can also turn to our ILTS Health Education study guide. Good luck!